It is probably borderline blasphemous to play favorites with the Bible, but Mark is far and away my favorite of the four Gospels. It’s the oldest Gospel, so far as we know, though not the oldest book of the New Testament—Paul’s letters get that distinction. But it is the oldest attempt to tell the story of Jesus’s life. I don’t like Mark best because of its “accuracy,” though, as if being earliest made it by default the most historically reliable. Maybe it is, maybe it isn’t. Luke makes some cryptic comments to the effect that his predecessors weren’t quite as “orderly” as he intends to be. See, Luke wants to help you get it. So do his buddies Matthew and John. All three of them are so helpful, so concerned and caring. Matthew wants to help his fellow Jews sort out just how this Jesus character really is the Messiah promised to Israel, and he scours the Scriptures (what we call the Old Testament) for every interpretive lens and motif he can find to bring meaning to the traumatic cross. Luke takes another tactic, pointing his Jews toward the growing faith of Gentiles and helping those Gentiles get a handle on the Jewish roots of their new faith, and he even writes up a volume 2, what we call Acts, as an introductory guide to the new community called “church” that believers in Jesus are going to find themselves in. And John is so freaking enraptured by the love of the heavenly Father poured out in the incarnate flesh of the Son and spread abroad by the Advocate-Comforter-Holy Spirit that he explains it to death. Love love love light light light bread bread bread for chapters chapters chapters! These three guys, Matthew, Luke and John, are your ideal pastors, anticipating your every doubt, providing well-thought-out, intelligent, sensitive answers, tossing out soft cushions for your newborn faith to land on. This should have been a great work. It certainly is grand in its ambition: a retelling of Slovakia’s history from the rise of fascism in the 1930s up to the present, almost a century in all, from the perspective of one family. Big, epic historical fiction renders the distant past rivetingly present and aims to overturn the convenient and cheap moral judgments we place on our ancestors by illustrating the agonies of their decisions without the benefit of our hindsight. 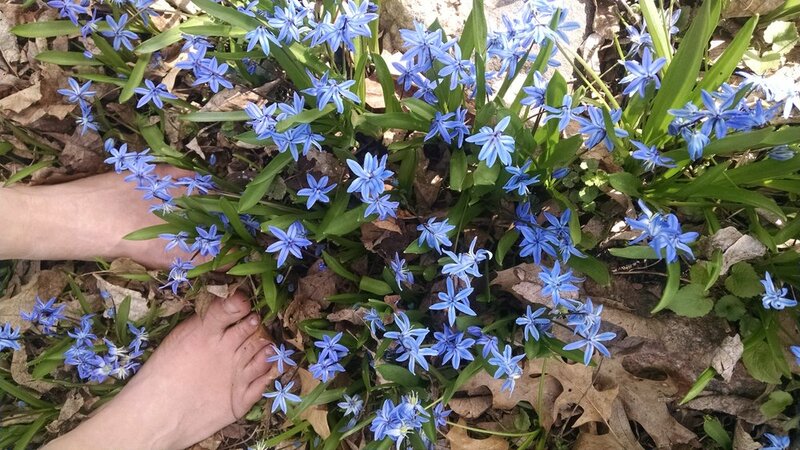 In recognition of National Go Barefoot Day, here’s my testimony to having my own two feet planted firmly on the ground! There’s nothing to put American political vagaries in radical context like reading a whole bunch of books about communism. My string of Slovak novels in English has had to give way for awhile to piles and piles on the twentieth century’s strangest political experiment, not to say the bloodiest. I must admit, having grown up on Cold War rhetoric on the American side and having not a few issues with the runaway consumerism of this society, I had been inclined to think it was ever so slightly possible that communism was not as bad as Reagan and his predecessors had made it out to be. If Judy Blume had been Slovak, this would be the result. 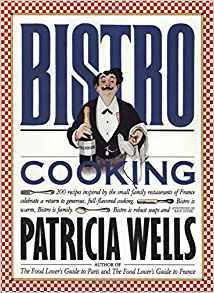 Can French Food Be Cooked Outside of France? Julia Child says yes. I say no. Back when I was still in graduate school and living on a considerably severer budget than I am now, I did not buy cookbooks. Instead, I got them out of the library and typed up any recipes I thought I might like to fit when printed on an index card. Actually, this is not a bad strategy, if you don’t count the loss of valuable time in typing. I still vet potential cookbook purchases at the library.